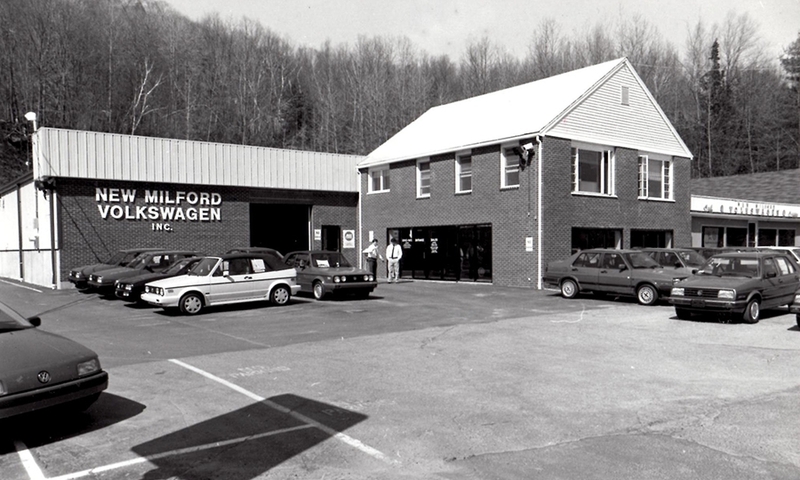 After nearly 65 years in business, New Milford Volkswagen in Connecticut, one of the earliest VW dealerships in the nation, is closing its doors. 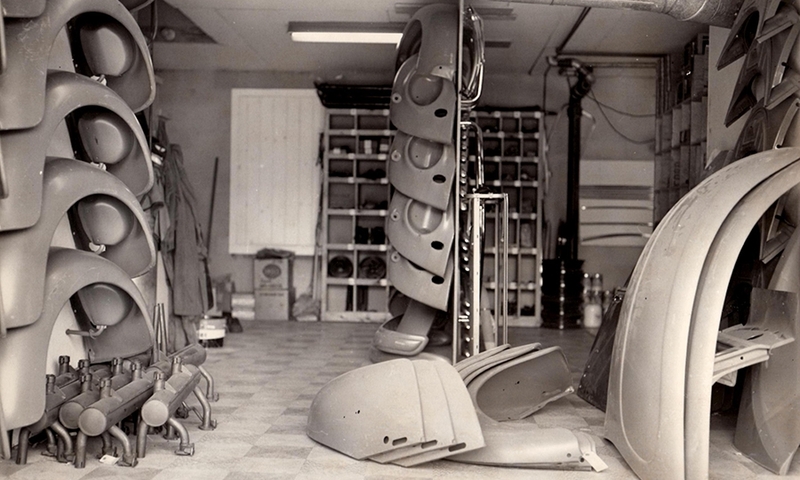 An early shipment of Beetles showcased outside shortly after the dealership opened at a filling station and motorcycle shop. 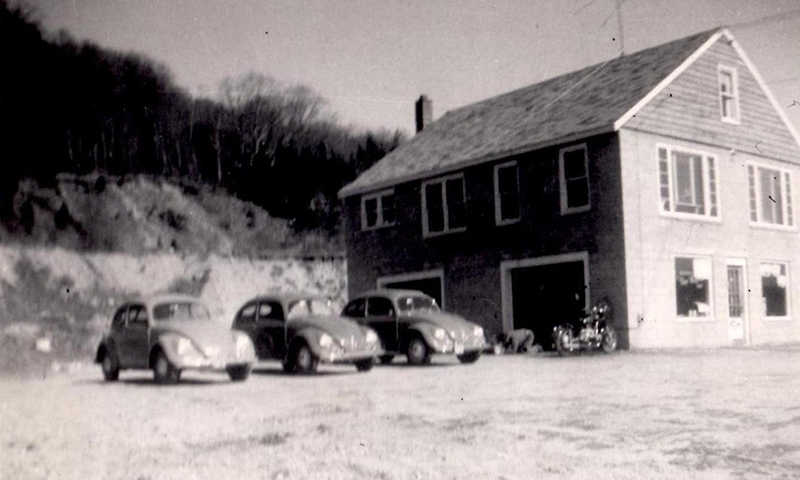 A pair of Beetles parked outside the showroom. 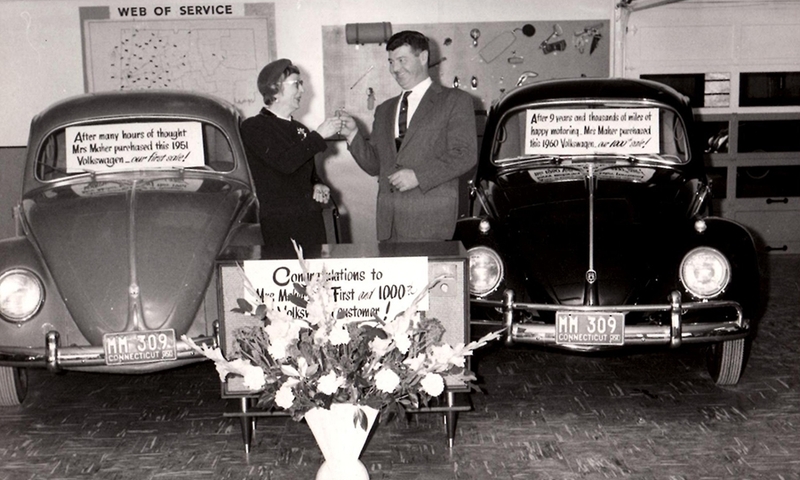 Frank Malumphy, the original owner of the dealership, congratulates the buyer of the dealership's first, and 1000th, VW. 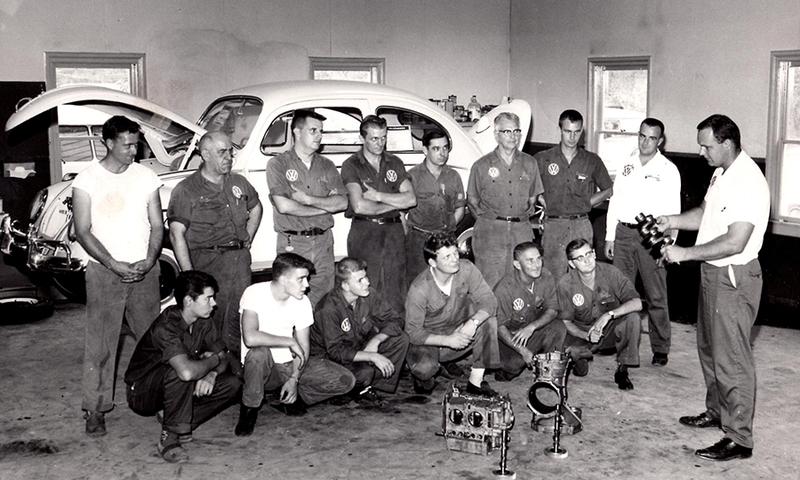 Mechanics from several local dealerships attend a training class on rebuilding engines. 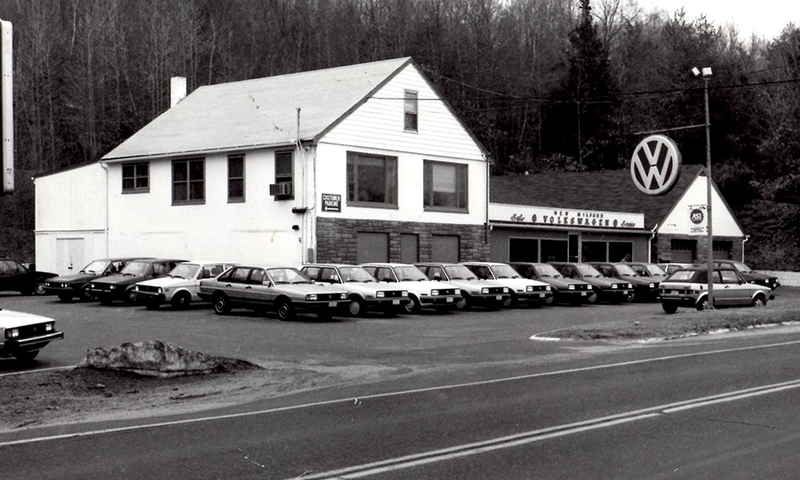 Volkswagen Jettas and Rabbits on display. 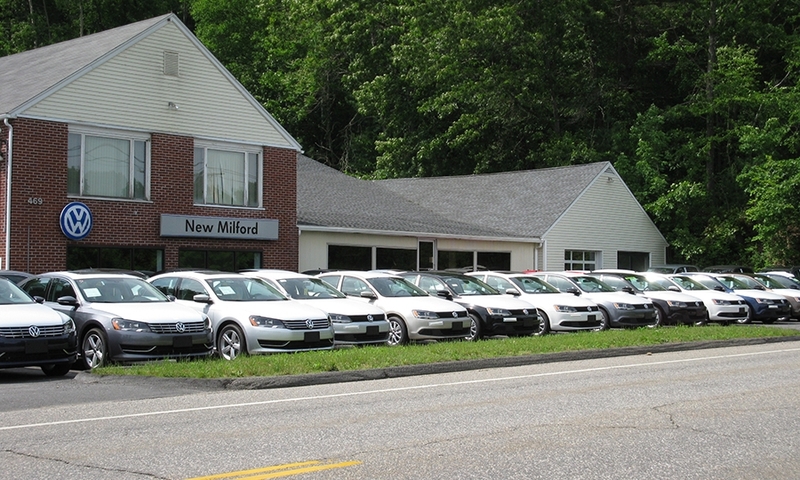 Volkswagen Passats and Rabbits at the renovated dealership. The closure comes amid a broader slump for the German brand stateside. 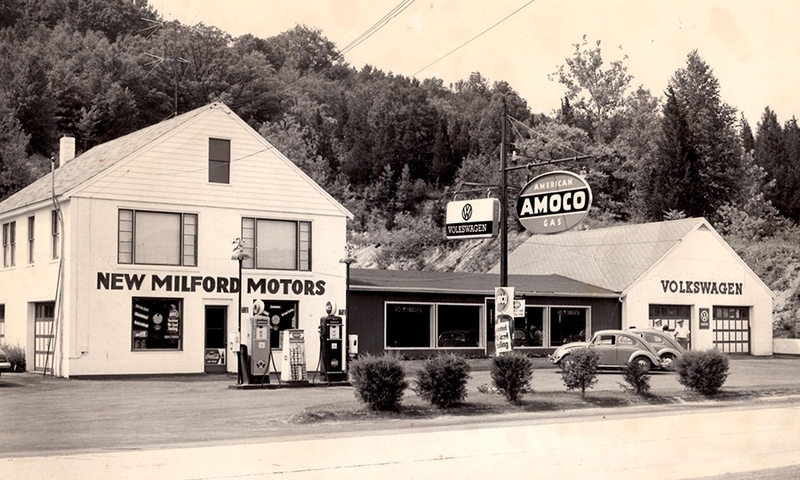 Click through our gallery to see the dealership's long history.